New work boots can be one of the most painful experiences you can have. The boots are generally tight and clutch around your feet and while the leather is hard, abrasions can be quite common. 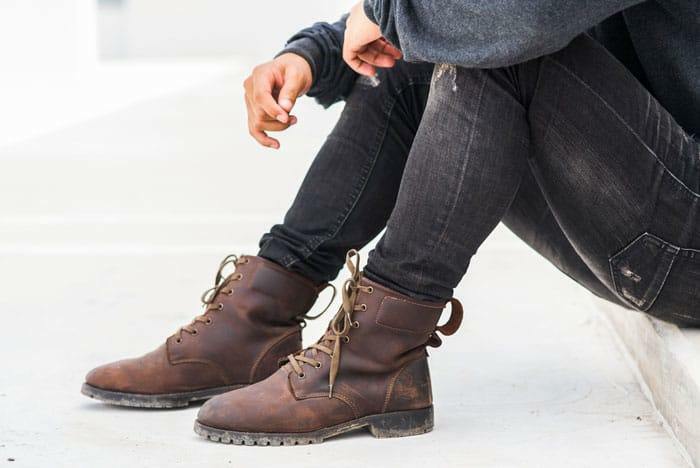 Many people are not sure how to avoid these break-in periods and they buy oversized boots that are less comfortable to work in. We have decided to find out exactly how you should go about breaking in your work boots. We have tested many of these tips to see how effective they are and we have also found that combining many of them, you will break in the boots and have that comfortable working surface in no time. While this might not exactly be a tip, it definitely is something that many people ignore. 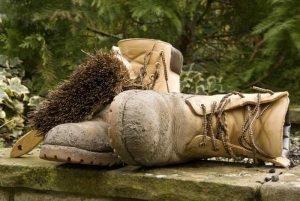 Many people will buy smaller boots in the hope of stretching them, but thanks to the quality of materials used in today’s work boots, this can be quite tricky and even take longer. By having the right size, you will be sure that they fit and this will make the boots feel a little looser and more comfortable from the start. If the brand you love features a narrow fit and you have wider feet, buying one size or half a size bigger, is definitely something you can consider. If you need to have comfort on your feet at work and you do not have time to break in the boots, you should consider breaking them in at home and when going shopping. This will help reduce the break-in period at work and you will also be able to remove them if the pain becomes a little too much at home. Breaking them in at home might not be comfortable, but people like servers need to move around on their feet most of the time and once the pain sets in, it might even lower productivity. Everyday activities will definitely be beneficial when it comes to breaking in your shoes in this case. When it comes to leather, many people still love applying heat to the leather. While this is effective, it will definitely reduce the durability of the materials. A leather conditioner is a great and affordable alternative and it will soften the leather without any liquid being used. Leather conditioner can be found in most retail stores and it is recommended that you use a quality product like Leather Honey. While the inner sole is removable in most new quality boots, it can often time come with a bad sole or a sole with insufficient cushioning for your feet. By adding additional cushioning or even replacing the footbed, you will feel instant relief and comfort. We highly recommend choosing memory foam or EVA cushioning over the standard polyurethane to ensure that you have maximum comfort in the long term as well. People suffering from pronation and supination might find it hard to break in the shoe quickly without the right kind of inner sole. Obviously, the more you wear the boot, the more it will adapt to the shape of your feet and your feet will conversely get more used to the boots. They should be worn for everyday life at the start, but do not decide to leave them at home when working. By dealing with the pain, your feet will also get used to the shape of the boot and adapt to create a perfect fit. 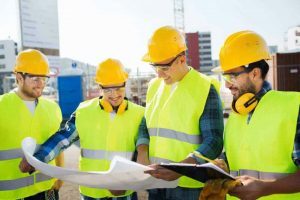 While this might be an arduous experience at the start, it is definitely something that will help you get used to and start working with these new work boots as soon as possible. There are a ton of remedies and tips out there, but we have identified a few of them that you should rather try to avoid. These might cause some damage to the shoe and since these boots are generally expensive, you might not want to take the chance. Don’t apply direct heat: it is one of those things that can soften the leather and any other materials for that matter, but it also destroys the durability of the leather. 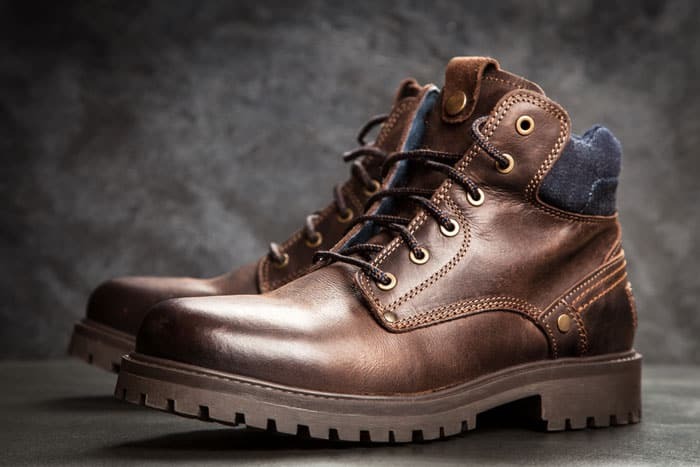 While boots can be heat resistant, they are not fireproof and eventually, the weaknesses will appear as the leather starts hardening and cracking. Never use water: Water might also be tempting and while leather is naturally water-resistant, you will also put a lot of strain on the overall durability. Water is certainly something that you would like to avoid and it has the ability to cause rot and break down the leather. Never use force on the boots: Another common tip is to apply force with a heavy object to stretch out and soften the leather and while this is also tempting, you will deform the boots and even damage some of the stronger points of the shoes. By wearing them, you will apply enough force to let them gradually widen and stretch out. Many of the other tips are generally fine and these should be avoided. Leather boots are the toughest to break in, and they can also be the most expensive. These things will definitely weaken the integrity of the boot and cause you some problems. With these tips, a new pair of work shoes should never be a pain again. These tips are easy and affordable and can be used in conjunction with one another. Once again, we would like to mention how important it is for you to stay away from heat and the elements to avoid damaging the boots. We would also like to encourage you to share your thoughts on these tips and to let us know in the comment section if you think we might have missed any of your favorites.